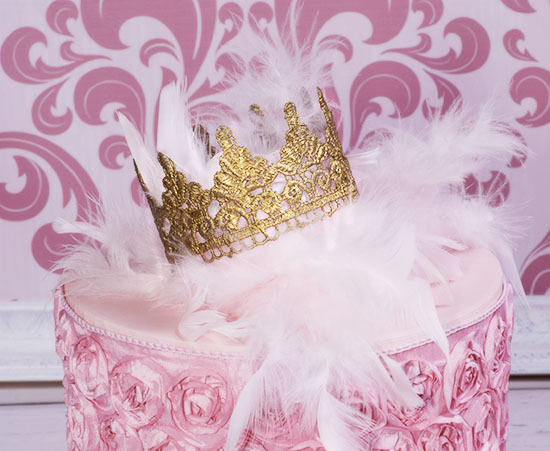 Your little princess will look amazing for her first photo session! 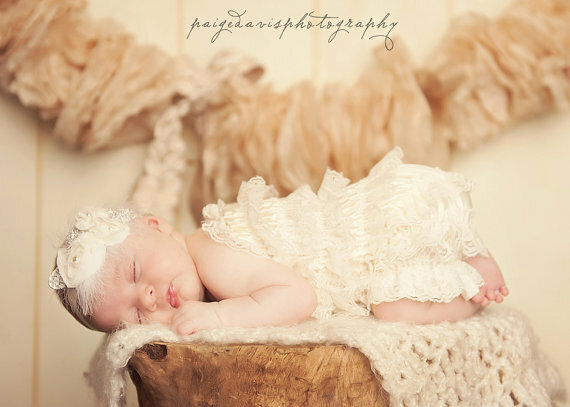 This little lace crown is stunning with handmade details & whimsical style. Tiny crown is very lightweight to gently sit on her royal head. No clips or attachments are needed. Luxurious handcrafted with the finest lace details. 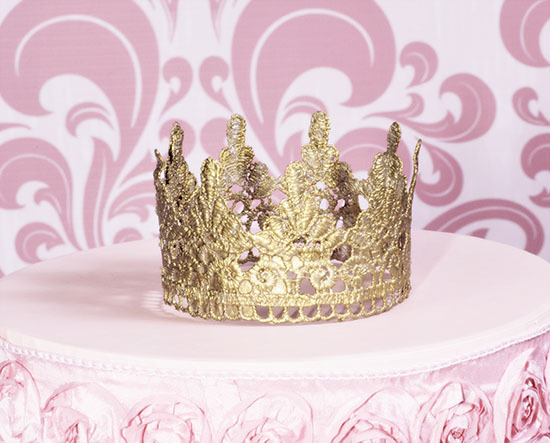 Crown is made to keep it's shape. Makes a great gift for a baby heirloom, cake topper and more! Crown measures 4" across and is 2" tall.